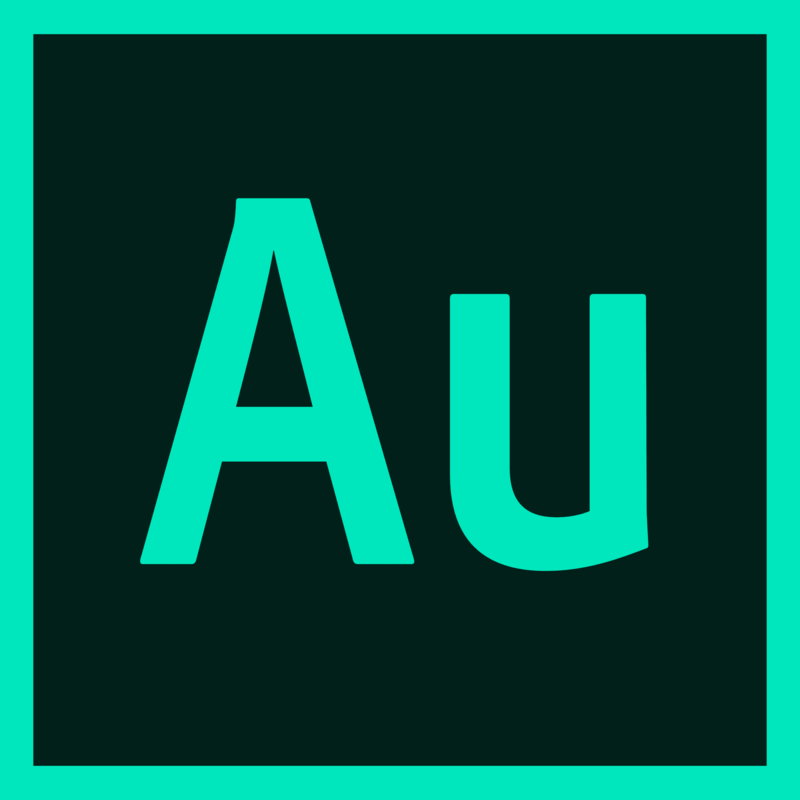 Never miss another episode of the podcast for Adobe Audition users by Adobe Audition users! Mike Russell: Hi, I'm Mike Russell from Music Radio Creative. 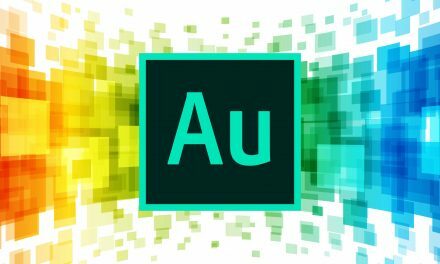 Welcome to the Adobe Audition Podcast were I'm interviewing power users of Adobe Audition. 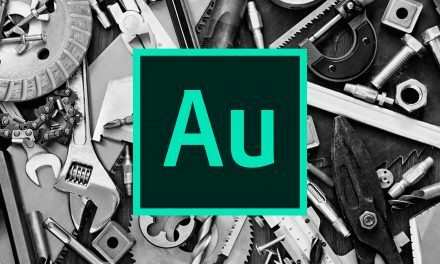 We'll reminisce back to Cool Edit Pro and take you right up to date with Adobe Audition CC. If you'd like to learn about audio production – everything from vocal effects to radio imaging, commercial production to music mixing – join my next audio production course at mrc dot fm slash learn. That's mrc dot fm slash l e a r n, learn. Frank Serafine: Thank you. Great to be here. Mike Russell: Also. So first of all let's get started with how you're using Adobe Audition and most importantly I'd like to kind of talk about the transition are celebrating the 25th birthday of auditions. But you would have been working in sound design before the digital technology was around. So talk a bit about how you using it today and how that transition has has worked for you in the movie industry. Frank Serafine: I kind of started out I was just kind of a kid with no agent at the time I only had a mini Mogadon and a Mellotron. I remember because most of the sound editors they didn't even know what a synthesizer was. So I was come and Penha from out of left field you know without an agent was kind of unheard of. So I I started making sound effects with my M.A. And I had friends over Roland and they let me go over to their factory down there in the City of Industry and I had a recorder at the time which was something kind of needed back then it was a Sony Akemi TCD 5 as it was was the number on it just I'd go I'd go meet the editors at Paramount and kind of get an idea of what they were looking for. I'd go back to my home studio at night and I'd start making sound effects on my many mark. Basically it's all I had at the time. 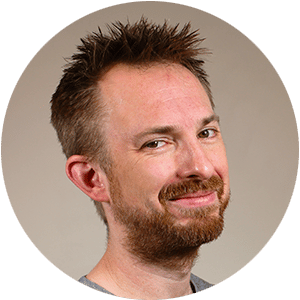 Mike Russell: I'm curious to hear if you picked up any advice and maybe if you could single out one piece of audio advice you've received maybe back then maybe over the years that you would say is a really really great piece of advice that has helped you throughout your career. Mike Russell: So you've worked on a lot of interesting projects but I'm curious to know Frangieh if you had to choose one really challenging project or maybe a challenging parts of a project what would that be for you. Frank Serafine: Just every phase of evolution is a challenge because I'm always pushing the limits and like for instance the latest project that I just completed was for pleural side is called Sound for film. And initially because I had I'd set up a tour this that tour that did 30 cities throughout US and Canada and then and then I based my pleural site educational videos on that. And you know usually I can get up in front of an audience or stream in front of a camera or even you know for that matter and talk about what I do and probably do it all day long. But when it comes time to actually produce something where youre educating and you really want to put it together like well Ive the plural side project became a much bigger than I initially thought. It took me two years to actually put it all together and the challenge of that was that. Now I'm not just a sound designer I'm actually a writer producer a narrator an actor and Ed.. So all of these things that I've kind of digested over the years and know a lot about are becoming available to me through Adobe. Now what I did on the plural side project was I get a lot of green screening. I did. I did a lot of stuff in premiere and I worked with derned very closely on all of that stuff and he actually he trained me on how to how to cut dirt. Gleaves at a Dobias. He's one of the developers of audition but he's also like an amazing trainer and showed me how to do all. How to basically had a child and premier. Mike Russell: Frank tell me a little bit more about your introduction to Oriol your moment maybe back if we think back to your childhood now and your first experiences with the audio the movie why you really got interested in this whole industry may be for you. Like you mentioned just before we started this cool actually about when you were younger you know picking up your first synth and being blown away by the kind of sounds that could produce. What would you say was the moment in your childhood where you thought wow I love Oreo. This is interesting. Maybe even. This is what I want to do in the future. Frank Serafine: I think it comes down to audition period because audition does it every everything. In the end you know a CUF course spectral added. OK. That's an amazing fact to be able to go in and in and one of the features that I love the most about that the spectral is for instance I've been doing sound effects libraries from for many years for you know things that I created back on Star Track and Tron. I packaged all of those sound effects and I put them out as products and now sound ID sound ideas distributes and my whole library and what I've what I'd found though that sound effects that I created back then. Like for instance I went and recorded all of Nikola Tesla inventions. His is you know he had this electro low thing all these incredible things that were like you know in the Frankenstein movies all these electrical facts that were created you know mechanical inventions that he made. There was a museum collector that had them in Hollywood. Well I went to record all of those and many of those effects made it into my library. But many didn't because they were artifacts and those sounds like my Orr or something that was in the sound that I couldn't use but it was a fantastic sound. Frank Serafine: But because it had a problem maybe something maybe there was a bump in it. Well we couldn't tape my mom's outback because that was analog. So what I'm doing is I'm going back through all my library now and I'm looking and analyzing things that I've done back in when I was recording star trek and Tron and I recorded superhigh quality back then it was all done on and not on Nogueras and Stella box it's now one of the issues with analog back then was tape hiss. There was always English use Dolby and then they figured a way to make it better but it still wasn't great. Well that's so easy to take out now. I'm go with spectral editing I can just take all my sounds and and there and then remaster them at the 24 bit 192 kilohertz rate so that when we start manipulating that those analog fats which when you know they're super high resolution when we do it in the digital domain and we start manipulating them they're going to be incredible. Now I can now in the spectral editing features of audition like Mike Bonham's Sapir as a purple hue in the spectral analysis of it. 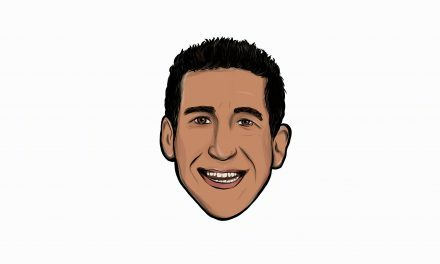 So we go in and one of the things I love about the adobe group is that they cross pollinate their technology like they'll bring somebody over from from me Photoshop guru to come in and work with the audition group. Frank Serafine: Now what that does is it brings the visual technology into the audio technology. And because I use I use Photoshop too because you know I do little things for my company and I like to be able to go in and because I can go in and actually create on Photoshop. Well now I'm kind of using Photoshop for ODea because if I needed like go in and just take out some Kerbel which I know is that might bump in the whole spectral analysis of the sound I could totally clean that up now I can take a look at that tape. Boom that's gone. And then I have this 100 percent beautifully mastered analog Recordists and I can then go in and start manipulating them at this high frequency rate you know where you take let's say you take a garden you know a big metal hit you know like I've gone inside of these big giant metal tanks. And I bring a sledgehammer and I just bang misguided. Is that right. That's like one of my favorites. Will you take that and you lower that frequency down two octaves battles that'll crack the cement and you are in your building. Mike Russell: That's cool. That's really cool. Yeah and like you said I'm really glad that you use the analysis Photoshop for audio. Going back to talking about the spectral frequency display because that's exactly what it is. We tape this you know you can see there you can Marki selected take it out or use one of the filters in the effects menu. Again with Mike bumps. They are there playing for you to see and almost Yandilla like you say use a brush and paint and Photoshop or audio Photoshop out and yeah remix being a more recent development fantastic for creating new samples of tracks. But yeah like you say it does run the risk of being a bit too Compiz or so it's always nice to have a crack at it yourself. But yeah brilliant. Back to the interview in a moment but if you want to win my perfect Oreo creator set up head over to MRC dos FM slash when. Frank Serafine: I like that. It cuts it for me and it shows me. It's almost like having an assistant go hey you go cut it and see what you can do with it. But then I can go in and I have the ability to to to control that I can go in and go Well I want it to go a little bit later. I would if I were me I'd go a little later and I would like crossfade this section. So it kind of does kind of the basic work for you but then you can go when you have all these parameters you can experiment you know where you can stretch it and do certain things you have control over. That would be so difficult to do any other way. You know it's just a really amazing thing that we're doing now. Getting back to this revolution that I was talking about really applies to audition. I would sing more and more each day. People are crossing over to premiere and when we were doing the tour throughout the US and Canada most people that were coming to our courses were premier people premier editors that wanted to know about that guy. So I think Premier is the mere editing system for the industry right now. I mean if you look at all the blockbusters that are being done I'd say that it's probably more like I don't know. Frank Serafine: I don't know the city statistics of whether Termeer in avid where that is. But the more I work with editors that I know everybody's using premiere. I don't really hardly work with avid editors anymore. So that in itself lores me to work more in our edition because the editors are coming in with Premiere stuff anyhow. OK. And the editors are cutting on premiere. So for me to do. And there's a fight going on between you know Avid and and and Kirmayer. Let's just put it that way. Let me not put at a fight. It's a competitive race. OK. And I think most of the editors that I work with there are all premiere I haven't worked with an avid editor for a long time. So what I like about it now it's kind of a catch 22. They're all cutting all the editors are cutting and premiere and then I get the stuff and I'll like it because first of all I'm a premiere editor now because during Gleaves at Adobe taught me how to use very grateful to them. So I like working in Premier actually a little bit before I even get it over to audition because if the fear comes in on premiere I can look at it see how all the dialogue is. Sometimes the editor cuts in a fax. Frank Serafine: I have it all there. I don't even have to think about it now if I write them. The issue is was that audition has not become the it. It hasn't become the standard and ODea Pro Tools are still the dominant system that everybody Katzav. Now if you go to. If you go to Universal Sony Disney any of these big facilities that are out you know L.A. There's not one of them that are gonna have audition. They're all cutting. They're all cutting most of them. Ninety nine percent of them are maybe 90 percent of them are all cutting in pro tools and then they're mixing on a dub stage you know with a Dolby atmo system and the whole deal. OK so it's all so you have to go to a pro tools at some point you know just because a dominant system but someday we're going to see because I'm going to do it if I can convince somebody. Problem is we have to convince Hollywood like how we convinced Hollywood to get from TMAG to probe to did he decide to go digital. I was always a struggle you know. Now everybody's using Pro Tools they don't want to go with that. They don't want to learn something else. They don't want to it's already set up that way. So but audition has the lead on on the technology. Frank Serafine: Like for instance you know pro tools for four I mean you know we like working with cleaning sets like Photoshop Photoshop for four set that that exists in pro tools. But it's a separate system. You know you got to buy the isotope plugins and it's not integrated in it. Everything is a separate cost when it comes to approach to you know and that's okay. But if you want to really have a big prototype system you've got to kind of pay for it. It's not cheap. Not that this thing's cheap. I just like having everything integrated into one system and audition has everything and a lot more than pro tools does. But when it comes time for me to actually go to the dub stage I need to transfer through all the math all my audition stuff over the prototypes and someday I'm hoping that you know they'll become mixing console's and ways for us. I think that adobes looking at advanced audio controlling systems that may far exceed what we're seeing right now. We're virtual you know VR mixing and things like that. I mean I don't really I mean I know I've talked to Adobe about all this stuff and I know they're probably developing all this stuff but they're going to be the ones who go into virtual mixing before anybody. It's probably now. Frank Serafine: And at that point we're going to be putting on our goggles. Now we're going to be sitting there in a virtual mixing stage and we're going to be listening you know through headphones and we're going to be able to mix these major Dolby ammos kind of things you know right in the headset and that's when they're going to where they're going to they're going to they're going to be so far advanced that it'll be hard for a lot of people to catch up because that's where we're going. We're going we're going into this totally omnipresent spherical sound that can only be heard in headphones actually that way because when you're listening to sound in a theater through Adobe ammo system unless there were speakers on the floor you wouldn't get full 360. And that's what's so cool about listening back to audio and headphones. Not only is it the upper sphere which is what you don't hear much when you go to theaters. Now you do because all the theaters are equipped with 64 speakers and an ammos environment so you'd get that feel because you don't have speakers underneath you. And that's what you get when you're listening to a full 360 audio a headset environment. You get omni omnis Ferrett ODea which is going to be the future of how we listen to everything including music. Frank Serafine: Well you know I er over the years I've I've had you know we started out with cassette like except of course you know I put a little mike on men and then it went to these super high quality quarter inch audio machines which had yes and they require battery. You know you know it's just the evolution of it. And then I started working with Sony had these these little mini disk things and they came out with. You know. So that was what we were using for a long time. That little data recorders and then as things progressed it became these SD cards and. And then a company called Zune developed this age to which was just this little beautiful little stereo recorder that had really high quality microphones and recorded it's you know nice 16 bit recording. So I started developing with that and going out with my library because like it's like a little mini camera almost like your telephone you have it you know you notice that you take more pictures when you have your cell phone. All right. I mean you know you probably wouldn't be taking many pictures like you're taking now if you didn't have your cell phone. So that's kind of what is happening the audio is these devices have become so Michaelides and so portable that it makes it easy for you to go out and record high quality audio and zoom is one of those companies that have been really pushing that forward. Frank Serafine: And I like them a lot because I work with a Japanese engineering group and they they actually develop everything that I asked them to do these these products and it's making for an incredible portable digital recorder that it's the the one that I've been using is called the f 8. And it's eight channels 192 Kilar Hertz audio and then you know getting back to audition. Another amazing thing that audition does is they integrate with sound and sound minor as a sound effects tool. It's a database system that allows you to go in and search all your sound effects while I have in my sound effect's library I probably have you know between all of my sound effects and every other library that I have. I probably have close to 700000 sound effects you know. Now how do you how do you find something and in a pool of 700000 sound effects. Now you go to you go to sound minor and you type in certain key words that you want. Find out what the sounds are and it goes and it finds for you like Google right and then and then what's cool about it is sound minor and audition are so integrated together that once you find the right sound you just punch it and it goes right where you want it to go right into your editing system you know. 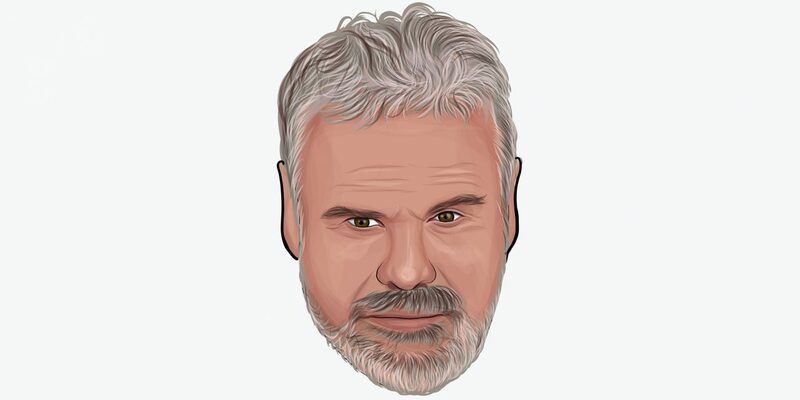 Frank Serafine: And boy that's that makes it so fun and easy for me that I look forward to editing now used to be like a tedious process and I was like oh you know now it's so easy and fine. And like I can find everything in my library so quick because I know the names of everything so I just find it real quick. I do you know I click a button and where I want it to go in the timeline it appears you know. And that that is just like. That tool saves me so much time that I'm making so much money because I'm not having to hire people to go and do that work for me or have me spend the time one of these where was that a fax you know or how am I going to get that in. It's so automated now that that it just makes it a pleasure to do this kind of work. Mike Russell: So final question to Frank. What would you tell a young an aspiring Odia creator who wants to get into this whole industry what would be your advice to someone like that. Frank Serafine: Most producers and directors for a young person if they were met if they were able to actually operate audition they'll be able to communicate with the directors and the editors within the group because most of all the films that are being done right now not only the big blockbusters but most of the independent projects are all being done you know on premiere. So while you're working on a film you can actually do everything using audition and you and the tools that are available on audition are very sophisticated. And when it comes time like for instance to building a house if you're going to build a house you need to have you know the drills saws level hammer. If you don't have those tools you're not going to build a house. And what great thing about auditioners is that all those tools are packaged right in that you don't need to go out and get any other plugins to be able to do the work. So if you're working on an independent project you can carry it from the point of where you get it all the way to the final mix. And as long as your room is 10 you could do this out of a bedroom. Got to make sure that when you're listening back to your speakers that you tune your room that's very important and that it's set the proper calibration rates and then you'll be able to listen to your music at the right calibration when you're when you're actually mastering your project so you'll be able to do projects right out of your own bedroom. Frank Serafine: If it were that you know if you if you had to work on a laptop you have Myhren audition. Do everything on your laptop and then you deliver either by listening to you know the room through the speakers or headphones. But the most important thing when you're doing your independent projects is that your room is tuned properly so that when you're delivering back to a theater or wherever it's going to the internet it plays back at the proper DBI level. So other than that the tools available on audition are are just super powerful and you can do everything you need not only like I said for an independent project but all the way up to you know huge blockbuster film because many of the effects that can be generated through the spectral systems and all the different various plug ins that addition has to offer can give you everything that you need and be on. Frank Serafine: You can go to Sara Feeney dot com. That's probably the best. And then if you want to check out you know how how I go about creating sound for film. I have 90 minutes of educational content that's available on pleural site and it's called Sound for film by Frank Serafin. Frank Serafine: Very cool. Thank you. Mike Russell: That concludes this episode would you like an extra chance to win the awesome audio gear giveaway. Subscribe and review this podcast. Then melody tells the podcast at MRC Dotts FM for an extra entry into the awesome Olio giveaway. Good luck. Sonix is the best audio transcription software in 2018. The above audio transcript of “Adobe Audition Podcast – Frank Serafine” was transcribed by the best audio transcription service called Sonix. If you have to convert audio to text in 2018, then you should try Sonix. Transcribing audio files is painful. Sonix makes it fast, easy, and affordable. I love using Sonix to transcribe my audio files. Audio production is my life. I'm passionate about helping you to sound great! Founder and Creative Director at Music Radio Creative. Free audio, tips and in-depth tutorials! Join 30,000+ active members of the Music Radio Creative community. By providing your details you agree to receive emails from us. You can opt out at any time. We promise never to spam you... we hate spam too! Get our latest news, updates, tutorials and free jingles.